Wishing all my ghosts and goblins a very Happy Hallowe’en! 🙂 Have a fun and safe time during fright night. 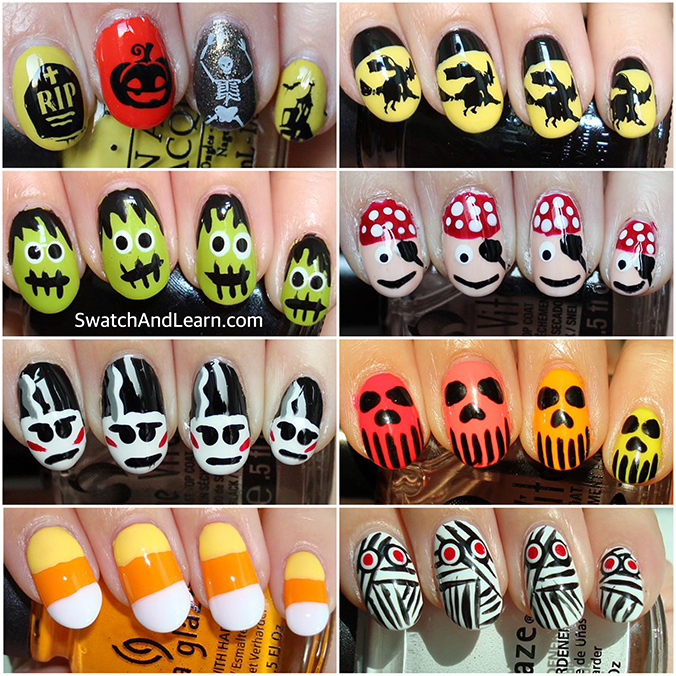 In case you’re still mulling over what design to paint your nails with, here are just a few of the Hallowe’en nail-art looks I’ve done over the years and shared on the blog. All of them (except the top left) have step-by-step tutorials, and you’ll be able to see all the colours I used. Links to each are below the collage photo. Feel free to tag me on social media, and show me what you’re wearing for Hallowe’en! 🙂 I’d love to see! P.S. 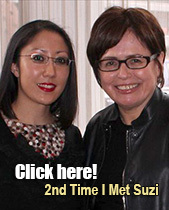 In case you missed it, check out my latest Canadian giveaway. Enter by November 13, 2015 at 11:59 pm EST for your chance to win 12 Hard Candy nail polishes! This entry was posted in Nail Art, Nail Polish Swatches & Reviews, Product Reviews, Tutorials & Tips and tagged Bundle Monster, China Glaze, Daniel Stone, OPI on October 31, 2015 by Mary S.. I spy with my Hallowe’en bloodshot eyes an easy nail design that you can finish in a jiffy! This is a nail look that requires only basic colours (white, black, and red) that you already have in your stash. Then, you can choose whichever shade you want for the iris. The red I used was Hard Candy Remix Red. All the other colours are by Pretty Serious Cosmetics: Presence (white), Absence (black), and Nuke the Fridge (shimmery olive). To create the veins, feel free to add ‘branches’ to make them look more believable. I, however, kept it simple with lots of squiggles. 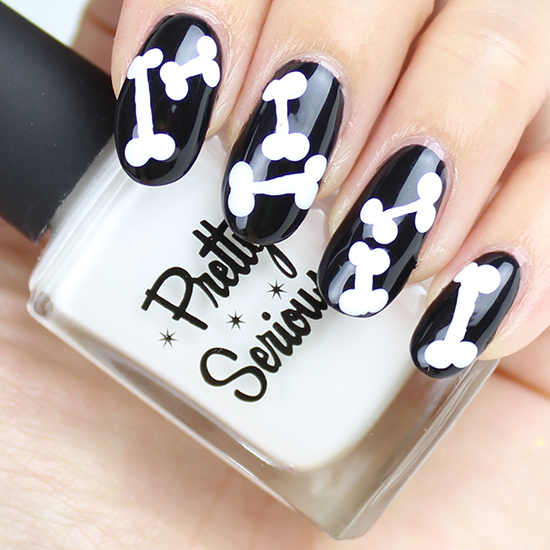 This entry was posted in Nail Art, Nail Polish Swatches & Reviews, Product Reviews, Tutorials & Tips and tagged Daniel Stone, Hard Candy, Pretty Serious Cosmetics on October 29, 2015 by Mary S..
Make no bones about it, but Bone Nail Art is easy to incorporate into any spooky design for a Hallowe’en manicure. You don’t need any special colours – just black and white. Those are pretty much staples for most nail art, and any nailphile probably already has them in their collection. I used OPI My Gondola or Yours?, which is a glossy black from the Venice Collection. For the white, I reached for Pretty Serious Presence. The only additional tools you’ll need are a dotting tool and a striping brush. However, if you don’t have a dotting tool, using the end of an old makeup brush or pen can do the trick in a pinch. As for the striping brush, you don’t need one that’s specifically for nail art. You can get an inexpensive set of brushes from the Dollar Store’s craft section and then use scissors to trim the bristles to narrow the width to your needs. Easy peasy! I hope that you enjoy my step-by-step tutorial with written instructions and photos near the bottom. I love sharing simple and quick nail designs that anyone can recreate. The more we all can spread the joy of painting, the better! This entry was posted in Nail Art, Nail Polish Swatches & Reviews, Product Reviews, Tutorials & Tips and tagged Daniel Stone, OPI, Pretty Serious Cosmetics on October 23, 2015 by Mary S..
You may remember that back in 2011, I posted a Reindeer Nail Art Tutorial. In that design, I used heart sequins for Rudolph’s nose, and I made the ‘mistake’ of using a dark background, so the antlers didn’t quite show up as well as I had hoped. Nevertheless, I still very much enjoyed wearing that design. P.S. 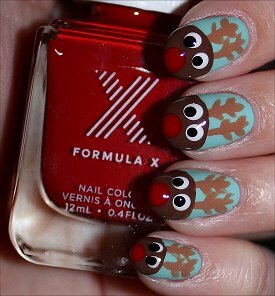 I’m going to try doing more festive freehand nail designs this month. Not sure how many I can squeeze in before Christmas, but I’ll do my best! This entry was posted in Nail Art, Nail Polish Swatches & Reviews, Tutorials & Tips and tagged Daniel Stone, Formula X, Hard Candy, Nicole by OPI, OPI on December 10, 2014 by Mary S..
Hey, it would be neat to combine this and the santa-suit design in a single manicure. 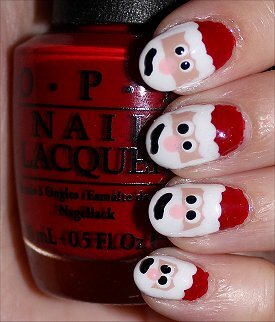 You could even paint Santa’s hat on one nail. That would allow you to paint a whole bunch of different designs. This entry was posted in Nail Art, Nail Polish Swatches & Reviews, Tutorials & Tips and tagged China Glaze, Daniel Stone, OPI, Zoya on December 2, 2014 by Mary S.. It feels like I haven’t worn faces or eyes on my nails in a long time. Although my schedule after work has somehow gotten busier than ever before, I want to make time to do more freehand designs, especially festive ones leading up to Christmas. Today, I’m showing you easy Snowman Nail Art that only requires a base coat, a top coat, five colours, a dotting tool, and a striping brush. The nail polishes I used to create the snowman nail art are The Body Shop Colour Crush in Minty Amour, OPI Queen of the Road, OPI Angel with a Leadfoot, OPI Juice Bar Hopping, and OPI This Gown Needs a Crown! I love sharing these kind of simple designs because it might encourage someone to try their hand at nail art, even if they’ve never done so before. There are a lot of overly complicated designs out there that, while nice to look at, can be intimidating to beginners. It’s my goal to make nail art that’s easy to replicate because I believe that everyone should enjoy the fun and creativity that it has to offer. I don’t want anyone to feel excluded! P.S. Read the bottom of this post for a short story from my childhood about how I once got in trouble for building a snowwoman. This entry was posted in Nail Art, Nail Polish Swatches & Reviews, Product Reviews, Tutorials & Tips and tagged Daniel Stone, OPI, The Body Shop on November 24, 2014 by Mary S..
Back in high school, a large group of my friends and I rented a limo and went to the prom together. It was a night that I still look back on and smile about because, as corny as it sounds, my experience was like that out of a teen movie. I was really living in the moment, enjoying every second of it! I got my hair done, did my own makeup, and wore a blue/purple duochrome dress that had a corset top with a large layered, tulle, Cinderella-style bottom. Yes, I felt like a princess! Interesting thing: Before I went shopping for my prom dress, I actually drew a colourful sketch of my dream prom gown. The very first place I went shopping at with my best friend, I struck gold. Literally, I found a dress that matched my drawing exactly, and it was hung on a hanger that was close to the ceiling of the store! (That never happens, so I knew it was destined to come home with me.) I half expected to see angels floating down and playing harps when I caught sight of it! My dad bought me the gown for my birthday (which was an atypical splurge), and I was ecstatic! I danced spastic in my crazy high heels that night, slow-danced with the guys, took some photos, and felt so pampered in general. Up until that point, I had never been to such an elegant venue or treated to such attentive service from waiters! It really added to the magical experience, and being able to share it all with close friends made it even more amazing! It was really amazing to see how great the guys looked! I couldn’t believe how they passed as gentlemen. A guy in a suit or tuxedo instantly makes you forget that just days ago, he was in the school hallway cracking jokes about flatulence! Haha! Recently, Nicole by OPI teamed up with Prom Canada and invited me to participate in an exclusive nail challenge, which you’ll remember me blogging about yesterday. We were asked to choose 3 shades from a pre-selected list of Nicole by OPI nail polishes. I chose Nicole by OPI Dream Maker (shimmery pink), Nicole by OPI Please Red-cycle (creme red), and Nicole by OPI Candy is Dandy (textured pink glitter). I came up with a look that features a prom couple and some hearts. 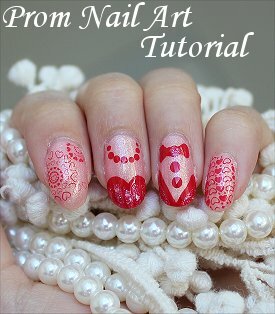 Come see my Prom Nail Art Tutorial with step-by-step written instructions and photos to show you how you can achieve the same look! 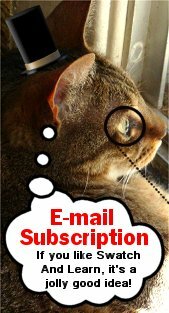 This entry was posted in Nail Art, Nail Polish Swatches & Reviews, Product Reviews, Tutorials & Tips and tagged Bundle Monster, Daniel Stone, Nicole by OPI on September 13, 2013 by Mary S..